St. Elizabeth Ann Seton Catholic Church is located in the Diocese of Charleston, South Carolina. 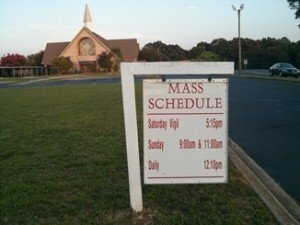 Our Upstate parish is in the southeast area of Greater Metropolitan Greenville, convenient to Simpsonville, Mauldin, Fountain Inn and Five Forks. In contrast to some larger area churches, St. Elizabeth Ann Seton stands out as an uncrowded, warm and friendly parish providing a more intimate worship environment. Our pastor is Reverend Patrick E. Cooper. Interested in learning more about your Catholic faith, in becoming a member of the Catholic church, or in sponsoring a candidate in their faith journey? If you answered yes to any of these please plan on attending R.C.I.A. 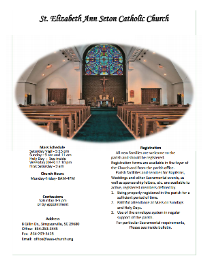 classes at St. Elizabeth Ann Seton Catholic Church. Classes are held in the parish center from 7:00 to 9:00 PM. 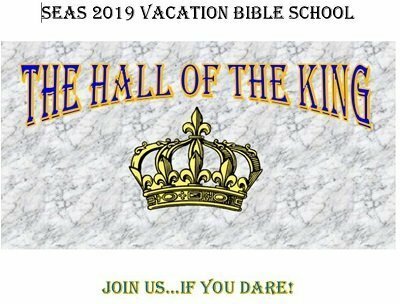 Contact Deacon Hudson at deacon@seas-church.org for additional information. The Diocese released a document called Information about Child Protection and Sexual Abuse Allegations within the Diocese of Charleston. You may access it here. See what’s coming up on our Events page and on our calendar.